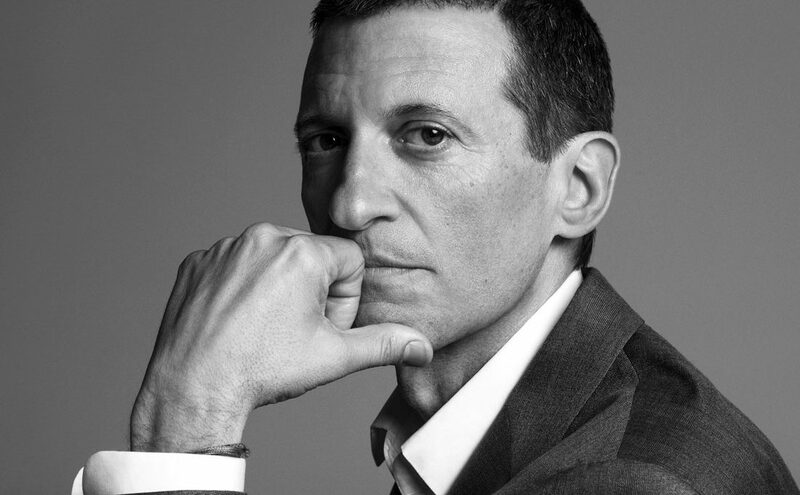 I recently sat down with Alexander Vreeland, grandson of Diana Vreeland (1903 – 1989), the former editor of both Harper’s Bazaar and Vogue and the “only genius in the history of fashion magazines,” according to Richard Avedon. In a quiet corner of a luxury department store in Berlin, Alexander and I discussed the fragrance line he launched in 2013 in tribute to his grandmother. The monikers of all eight scents are inspired by Diana’s affection for superlatives (Absolutely Vital, Simply Divine, Outrageously Vibrant …) and the bottles and packaging were created by design legend Fabien Baron, each with a magnetic cap (click!) and silk tassel. Diana Vreeland on the cover of Interview Magazine. Via: www.benjaminkanarekblog.com. Vivaciously Bold! From the Diana Vreeland fragrance line. Alexander with grandmother Diana and father Fredrick. www.hintmag.com. Diana Vreeland, 1977. Photo: Richard Avedon. Via: www.ana-lee.livejournal.com. Helder Suffenplan: Why fragrance and not accessories or interior design? Diana Vreeland was at home in so many areas. Alexander Vreeland: Diana Vreeland legitimately loved fragrance. She did many things where smell was a key component. For example, when she started curating exhibitions at the Metropolitan Museum of Art she piped in fragrances to accompany the exhibition. And her home or office were always filled with a multitude of different smells. HS: What did her apartment smell like? HS: There was even more? She really did like fragrance! HS: Most new labels start from scratch to build a brand story and identity. You had the name and the legacy of Diana Vreeland to build on. Did this make it easier? AV: Not really. In the beginning there was this leap of faith where it was unproven that a line of Diana Vreeland perfumes would work. Most people might think it was a no-brainer but it’s not. Launching a brand today in a high luxury environment is always a challenge — nobody really needs anything. HS: Still, the line became very successful. What’s your strategy? AV: Any brand has to do everything right today. But on top of that you really have to have a sense of who you are speaking to. AV: The customer we’re speaking to is a very sophisticated fragrance lover who is looking for interesting things that she can relate to and that is part of her story. AV: Our story is a woman’s story and not a man’s story. Whereas a lot of brands you see today tell men’s stories: the offering, the brand filter, and the brand stories of most brands are more masculine. We’re telling a very playful, joyous, and very feminine story: no one has the colors that we have; no one uses the names that we use. HS:How deeply are you involved in the creation of the scents? AV: Very much — let me give you an example. We wanted to have an oud fragrance in the line, so perfumers kept coming to us with various offerings but none of it really was what I wanted to be doing. One day the perfumer Pascal Gaurin from IFF proposed the concept of an iris oud. And I felt that this had the ingredients that might be working. So I started working with Pascal on this formulation: “Is it too smoky; too strong; too animalic? Can we make it more feminine?” This sculpturing process took more than nine months until we were entirely happy. It is very intense. AV: Not really. What I do is try to imagine her living today, being 35 years old. Her voice tells me: “Do the best you can!” So I try and that’s a lot of pressure already. This interview was first posted on Feb. 11, 2016.